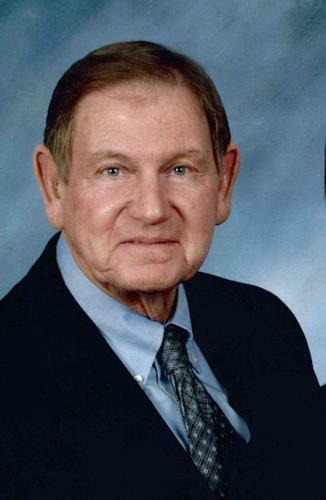 Preacher For 50 Years Throughout The U.S.
John Robert Barclay, 86, Chattanooga passed away on Tuesday, January 22, 2019. John was a preacher for 50 years at different locations through the United States. He had become a faithful member of the Soddy Church of Christ. He was preceded in death by his parents, George Taylor and Sylvia Barclay, and sister, Louise Mllican. Survivors include his wife, Barbara Lawson Barclay; daughter, Sherry Lee; sister, Mary Koenig; step- children, Karen Evans, Cecil Evans, Lynette Lawson, David Lawson, Greg Lawson; several grandchildren and nieces and nephews. Funeral services will be held at noon on Saturday, Jan. 26, in the funeral home chapel with Minister Joel Danley and Minister Brian Ceraolo officiating. Visitation will be held on Friday, Jan. 25, from 4-8 p.m. and on Saturday from 10:30 a.m. till the time of the service at Hamilton Funeral Home. Arrangements are by Hamilton Funeral Home & Cremation Services, 4506 Hixson Pike, Hixson, Tn. 423 531-3975.